Every month or so on Facebook there is a thread that goes around about 10 memorable books. You are to post your books and share the thread with your friends. As a lifelong book lover, I participate every single time, and always find my book choices change a bit. I thought it would be fun to share my list with you and ask for your 10 memorable books as well. I may have to revisit this list again later with a new one. Reading is like that! 1 The Betsy-Tacy series by Maud Hart Lovelace - These are my desert island books! This series tells the story of 3 girls from age 5 through their 20's, in turn of the century Minnesota. 2 The Little House on the Prairie series by Laura Ingalls Wilder - Childhood favorites. I love everything about these books. 3 The Keeping Days series by Norma Johnston - Another series with a turn of the century setting. This series tells the story of a family, a young girl who wants to be a writer, and her friends. 4 Sense and Sensibility by Jane Austen - Two sisters, one practical and one romantic, seek love. 5 The Harry Potter series by J.K. Rowling - I love the way this series has given a love of reading and imagination to a new generation. 6 The Great Gatsby by F. Scott Fitzgerald - Perhaps the Great American Novel. 7 The Long Goodbye by Raymond Chandler - A noir detective story set in Los Angeles. For years I reread this book every summer. 8 Time and Again by Jack Finney - Time travel, love, history, old New York. 9 Possession by A.S. Byatt - Poetry and poets, romantic passion and a passion for words. A beautiful book. 10 Wicked: The Life and Times of the Wicked Witch of the West by Gregory Maguire - A twist on The Wizard of Oz, and a wonderful fantasy world on its own. I would love to read your 10 memorable books in the comment section, below. 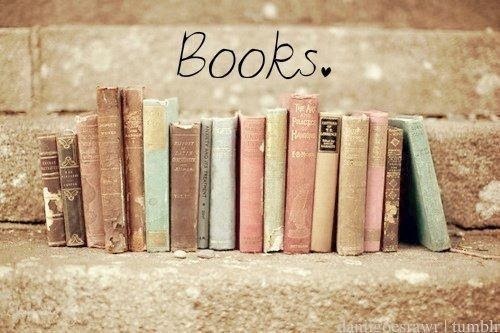 My list would have some of the same books and it would also have The Hunger Games and The Secret Garden. I definitely have fond memories of Little House on the Prairie and am anxiously awaiting getting my hands on a copy of the new book, Pioneer Girl: The Annotated Autobiography of Laura Ingalls Wilder. Harry Potter is also a stand out book for me and for my entire family. Wow... My most memorable books would be. 1. The Bible (actually that is 66 books, but lets not get technical). 2. Where the Red Fern Grows. 3. My Side of the Mountain. Great Idea my top ten change throughout the season, keeping my favourites close by for reference is a must for all keen gardeners. 5. RHS Botany for Gardeners edited by Geoff Hodge and Simon Maughan, Mitchell Beazley. 7. The Gardens of England: Treasures of the National Gardens Scheme. Thanks for the comments! I enjoyed reading your lists. Brenda, I love The Secret Garden. I received an IOU for Pioneer Girl at Christmas. My mother ordered it for me, but it is on backorder. I can't wait to read it! V.J., I love the Narnia books too! I reread The Lion, The Witch, and the Wardrobe for a book group discussion just last year. Stephen, what a wonderful sounding list! I would love to look at The Gardens of England. It sounds like such a lovely book! So many great books. It is hard to narrow it down to just ten but a couple of my favorites are A Tree Grows in Brooklyn and Watership Down. Visiting and following from Book Musing Monday. Georgie, thanks so much for visiting! I also love A Tree Grows in Brooklyn, as well as Joy in the Morning by Betty Smith.